a rare cat. | escaped. I honestly think my ultimate soulmate is cat. I can't get enough of them. This household has seen cats come and gone since I was 5 years old, but I still remember each and every one of them. I mean, who could not love cats?? (except my late grandma, she'd squeal and scowl at them like no other, terrified them and me for a lifetime) Even my neighbour/aunts/uncles' cats, or just a regular stray cat we find at the park, I'd treat them like my own which drives my mum crazy cause I have asthma. Yes, the irony. So whenever I have asthma attacks my mum would lecture me in a long cat talks..cats this, cats that..cats' fur..but nothing seems to fade my love for them. Poor mum. 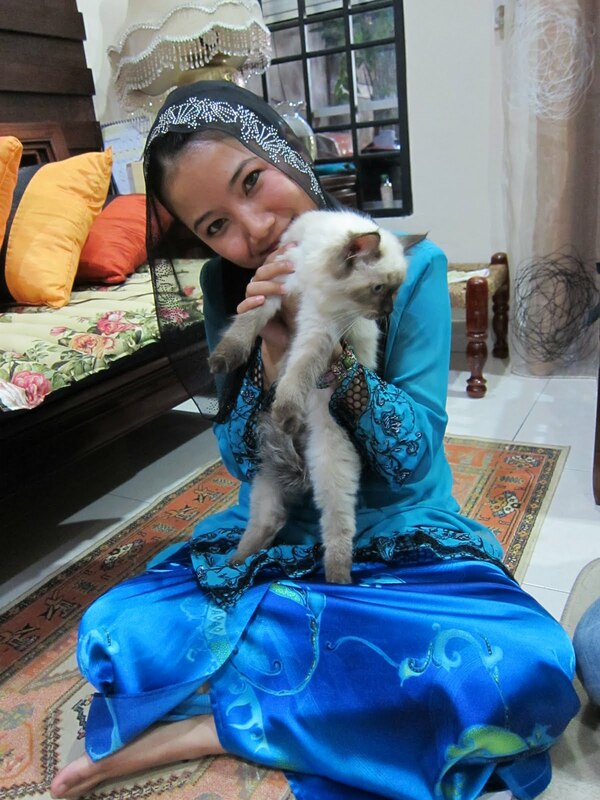 Last raya we went to my mak teh's house in Penang. 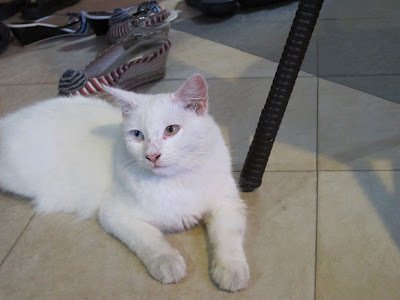 I'm always happy whenever we go there, cause I know she keeps lots of cats; different race, colors and sizes. She can have a cat nursery there. This cat has one sea blue eye and the other one, green. I don't know if this is common, but it's definitely a rare case for me. Masya Allah. Aww =) Adorable! 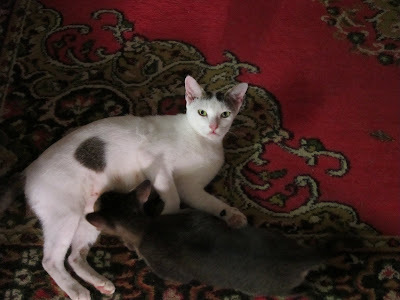 But I can't imagine having more than 3 cats.... omigosh, too much work. I have a friend who always has more than 5 at her house... Persian, Bengal, sooo cute! omg, 5 is A LOT! i only have 2 and they're always hungry pfft. haha.